Magnuson Park, in Seattle, contains, among other wonderful areas, this community garden full of photogenic bugs and birds. I was armed only with my 100mm macro lens (on Canon 5D Mark IV) because I was aiming for insects and blossoms, not avian models. Then I spotted this little Anna's Hummingbird moving in and out of the flowers incredibly quickly...took what shots I could, and got one good one. 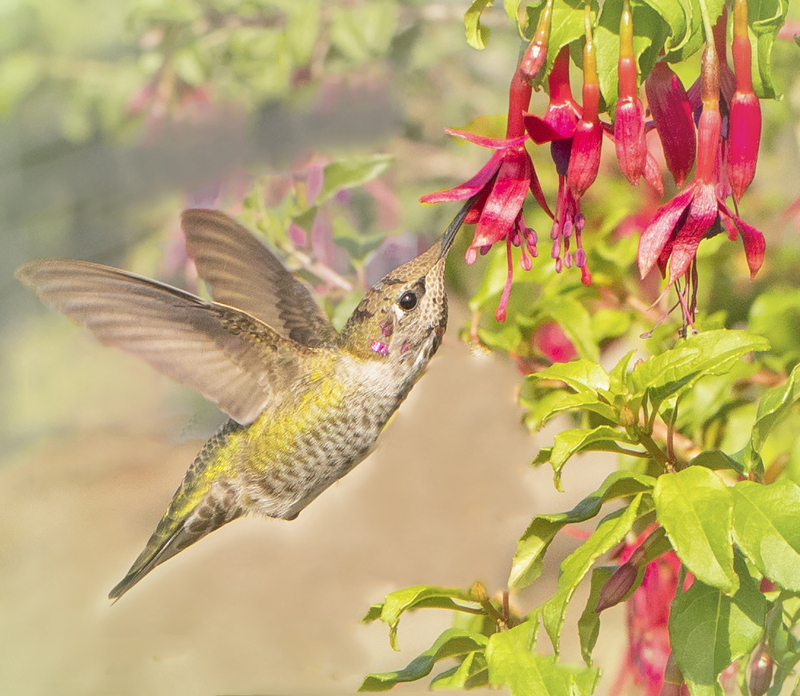 Anna's Hummingbird dipping in and out of blossoms in a community garden.